Hello Barbie, Mattel's new wi-fi enhanced doll with a tiny microphone, isn't even available yet, but she's already causing controversy, according to reports. The latest Barbie features speech recognition software that enables conversations and recall's the owner's preferences. However, now privacy advocates say that the doll is violating children's policy and could be used for "stealth marketing" with toymakers listening in on the conversations or encouraging children to buy accessories. "If I had a young child, I would be very concerned that my child's intimate conversations with her doll were being recorded and analyzed," Angela Campbell, faculty adviser at Georgetown University's Center on Privacy and Technology, said in a statement. Using a microphone, speaker and LED lights inside the doll's necklace, and rechargeable batteries in its legs, Hello Barbies will be able to tell stories, jokes and play interactive games. After listening to its owner's conversation over time, the $75 doll could also reference some of the child's likes. The doll was created by Mattel and uses San Francisco-based startup ToyTalk for voice-recognition software. The Campaign for a Commercial-Free Childhood launched a petition Wednesday asking Mattel to stop the doll, calling it "creepy," according to the Christian Science Monitor. The group and others believe that Hello Barbies treasure trove of information will be usedful to marketers. Campbell said, "In Mattel's demo, Barbie asks many questions that would elicit a great deal of information about a child, her interests, and her family. This information could be of great value to advertisers and be used to market unfairly to children." Susan Linn, executive director of the Campaign, said that she was leery of Mattel's motives. "It's creepy — and creates a host of dangers for children and families,” she said. 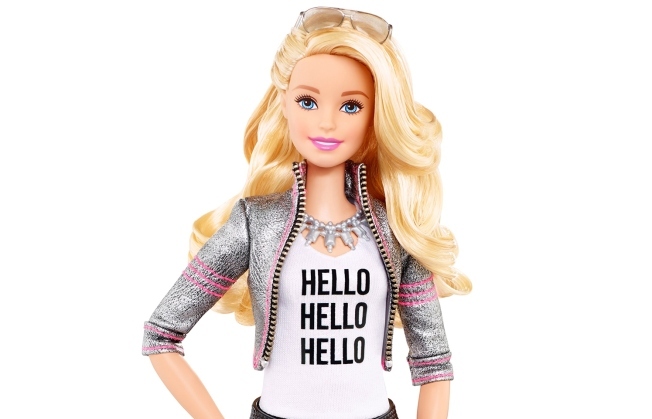 Mattel said there is no controversy because it conformed to the Children's Online Privacy Protection Act and partner ToyTalk said that any information retrieved from Hello Barbie's owner is "never used for anything to do with marketing or publicity." Ultimately the decision to buy the $75 doll is up to parents, but the doll won't go on sale until near the end of the year.